Monday evening, brought us almost to the end of the current Rotary year and welcoming our latest new member was a great way to end a busy year. 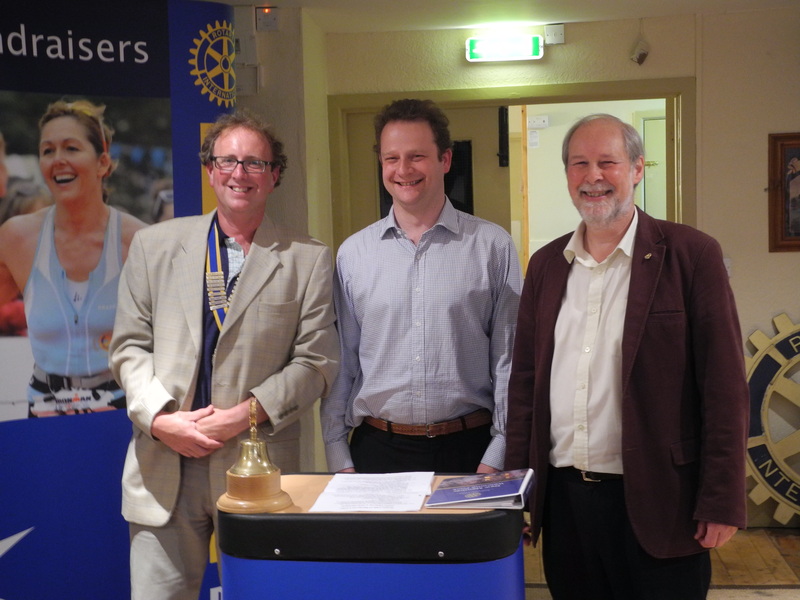 Jeremy Le Sueur was introduced to the club by Mike Balfour and was warmly welcomed by all members. Our club is very active in the Sherborne area and we have a full programme of events, outings, sports, youth events and fun, planned for the new Rotary year which starts on 1st July. If anyone is interested in finding out more about joining our club then contact Mike Balfour, who is responsible for membership, on 01935 817338.